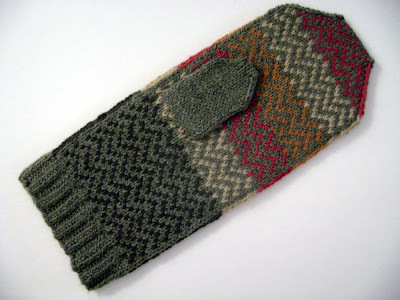 These mittens are made with Sunday Knits' amazing 3 ply yarns, Eden, Angelic and Nirvana, which I love to life. I can not get enough of these colours; they are that rich, complex and compelling. 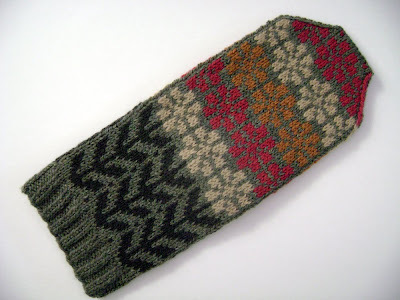 Watch for the next mitten, Zarzuela, next week. Oh! These are tremendously beautiful!! November 4, 2010 at 4:28 p.m. They are so pretty! Nice fall colors! November 5, 2010 at 9:01 p.m.
November 9, 2010 at 11:33 a.m.
...and then I just got worse.